In 1882 the author Robert Louis Stevenson, perhaps described it best naming Nob Hill, "The Hill of Palaces." Later, the great crooner Tony Bennett sang of "To be where little cable cars climb halfway to the stars." Tony Bennett might not have been from San Francisco, but surely had San Francisco's Nob Hill neighborhood in mind. As so many before him, clearly Bennett, "left his heart in San Francisco." 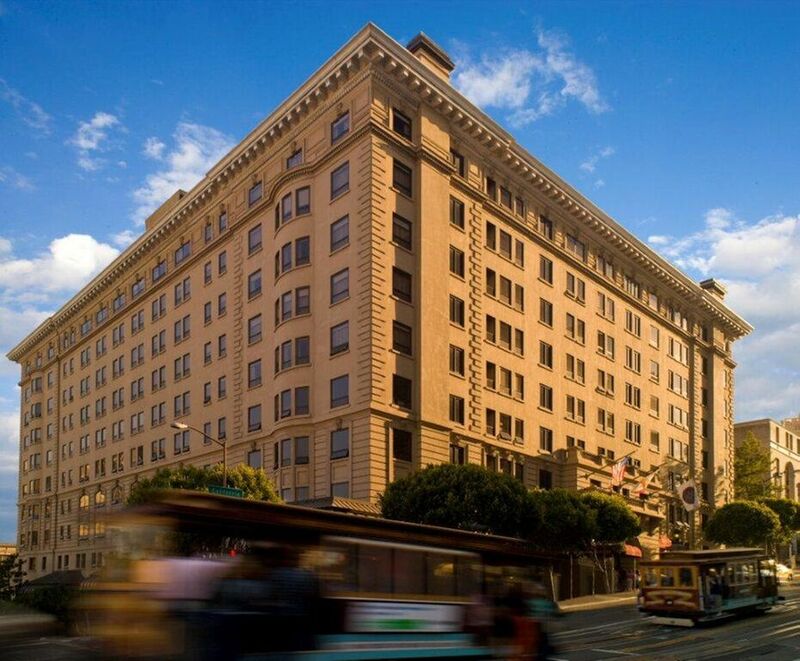 For over 100 years, mired deep into San Francisco's history, perched high above Union Square and the Financial District, Nob Hill has been associated with an affluent, well-to-do San Francisco. A certain "joie de vivre" has always surrounded one of San Francisco's most opulent areas. From the days of the Gold Rush migration in 1849, when Nob Hill became a lookout point for ships arriving daily with thousands of new San Franciscans, the historic hill become the center of opulence. Led by the moguls known as the 'Big Four,' Mark Hopkins, Leland Stanford, Collis Huntington, & Charles Crocker, along with other early businessmen, who made their fortunes, becoming the privileged class of San Francisco during the construction of the Central Pacific Railroad linking Utah to California. The prodigal magnates transformed the once scrub covered hill into San Francisco's prominent center of wealth for the rich and famous. So grandiose were the architectural gems being constructed, with money being no object, that the residents residing below climbed the steep heights to get a glimpse of the palatial estates, that would be known as "pedestals to the newly rich." 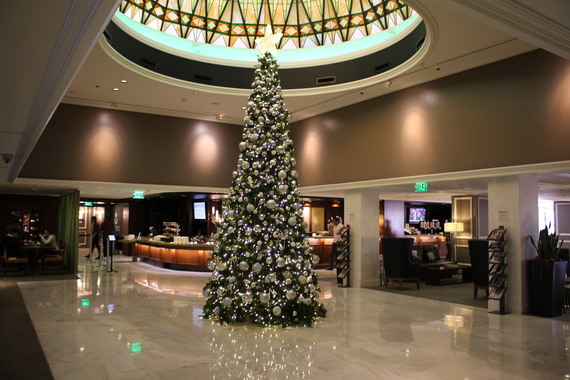 The Fairmont, Mark Hopkins, and the Huntington Hotel loomed large on the scene. These palatial estates, were not just hotels, they were places of divine intervention, where business deals were sealed in close quarters. Visitors came from around the world to get a glimpse of the flamboyant chambers. 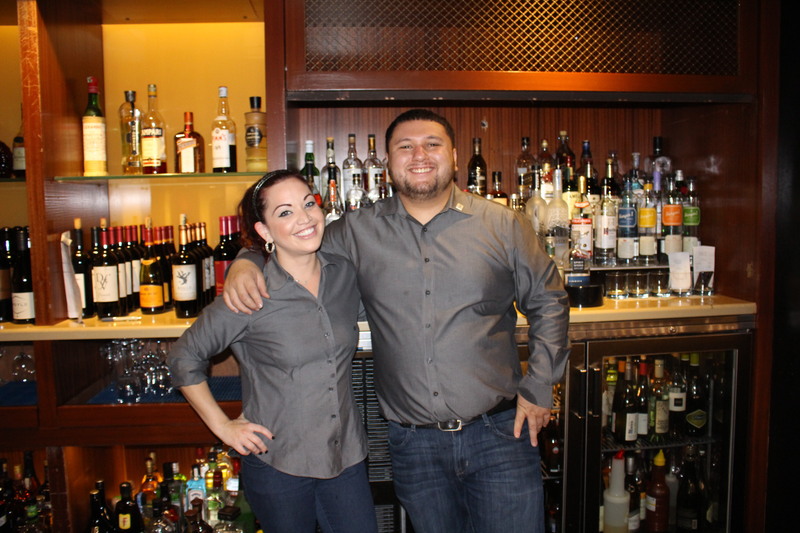 Knowledgeable and helpful staff will give you their recommendations on where to eat and play in "the city by bay." In 1973, a new masterpiece was added to the Nob Hill quartet of prize winning elegance and extravagance, when Stanford Court was added to the local landscape. Located on California Street, at the intersection of Powell Street, where three of the cities Cable Car lines intersect. The Stanford Court's history dates back nearly 140 years to post gold rush days, when Leland Stanford governor of California, U.S. senator, and founder of famed Stanford University along with his fellow "Big Four" railroad moguls, connected San Francisco with the with the U.S. by train, and selecitng San Francisco's iconic Nob Hill as the setting for their opulent homes. In 1876, Stanford built an exquisitely appointed residence on the southwest corner of California and Powell streets Constructed for the extraordinary sum of $2 million (over $43 million in today's dollars). Stanford's mansion was considered one of the most elegant in the entire nation. Most of Nob Hill burned to the ground after the 1906 Earthquake. The Stanford Court Apartments, opened in 1912, was subsequently erected on the site of Stanford's Mansion. The apartments were among the most luxurious San Francisco had ever seen with each unit boasting a servant's quarters. The mammoth edifice rose nine stories and featured an elegant motor court domed in stained glass. The property was purchased in 1968 and redeveloped into the Stanford Court Hotel. 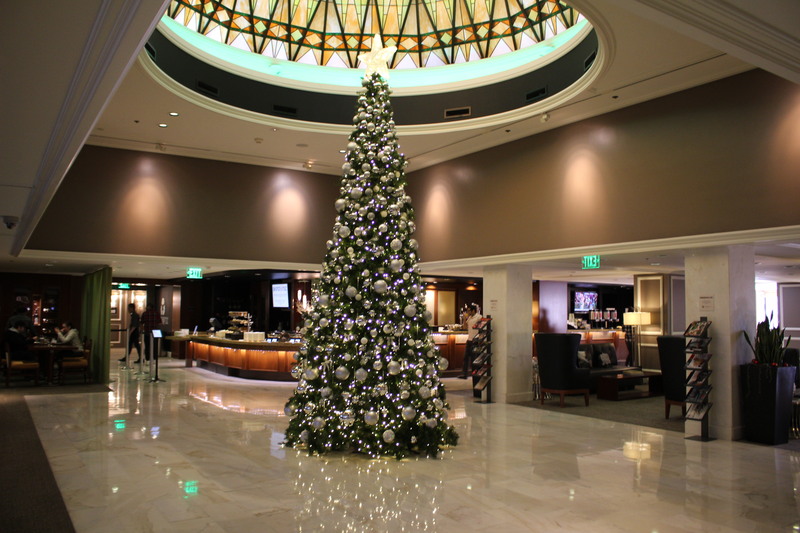 The building was gutted and rebuilt from the inside out and the five-star hotel emerged in 1972. The independent Stanford Court Hotel boasted impeccable service, tasteful décor and the attention to detail one would expect in such a grand location. The hotel was purchased by the Stouffer Hotel Company in 1988 and became the Stouffer Stanford Court. During 1996 the Renaissance Hotel Company acquired Stouffer; Marriott acquired Renaissance in 1997 and the hotel became the Renaissance Stanford Court. Marriott managed the Stanford Court from 1997 until its return to an independent hotel in the summer of 2013." 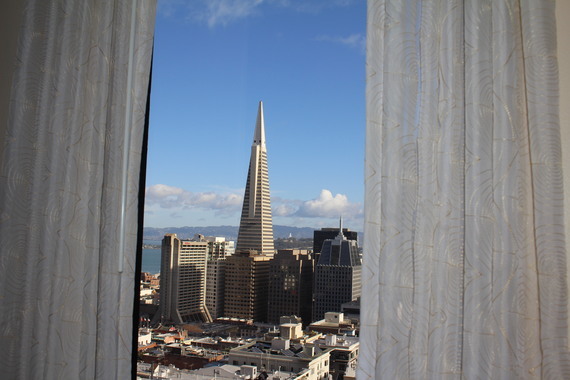 San Francisco's bravado and swank hotel scene leaves visitors to the city by the bay with many options to choose from. San Francisco, being one of the most visited cities in the world attracts both tourist, and Bay Area locals, seeking a weekend getaway of dining and shopping in a fun packed Union Square and the surrounding locale. 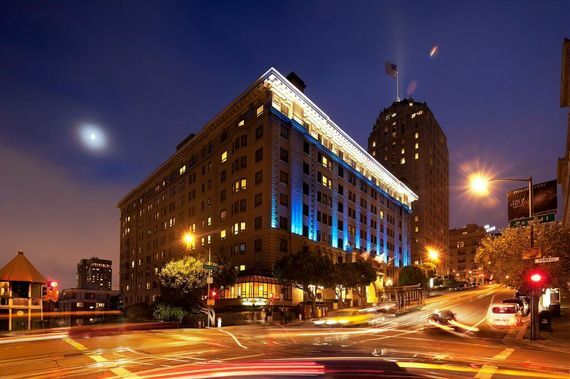 Few hotels close to downtown San Francisco blend Nob Hill's charm with top of the line décor, spacious, large home like rooms, in a picturesque setting, and within close proximity of everything that San Francisco has to offer. 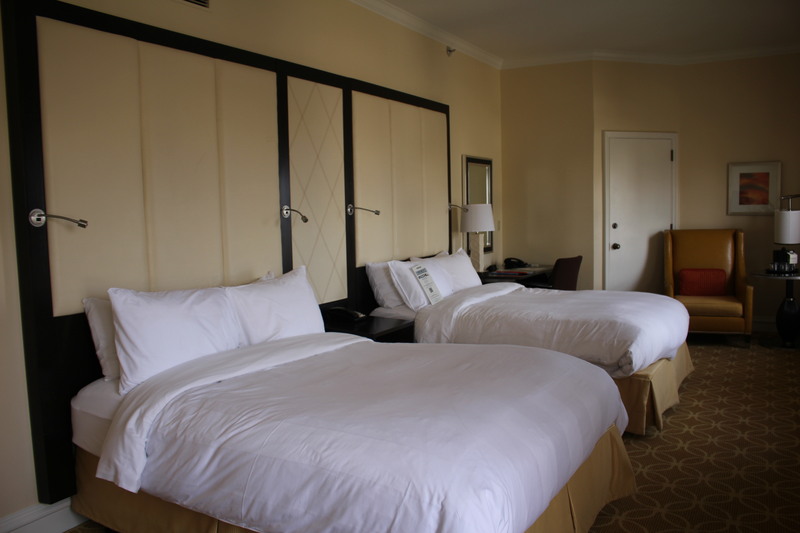 The gorgeous rooms offer plenty of space for all the luggage you might bring to feel right at home, complete with sweeping panoramic views of downtown San Francisco and the bay. Guests will enjoy the 24-hour fitness facility and the complimentary Wi-Fi. Business guests will appreciate the free printing in the business center and the spacious desk in the guest room. The prime location will win you over with a wide array of popular sites and attractions, including Union Square and around breathtaking Nob Hill. Guests will appreciate the convenience and ambiance of the on-site restaurant Aurea Cafe and Lounge open for breakfast and dinner and the lounge is open until midnight. 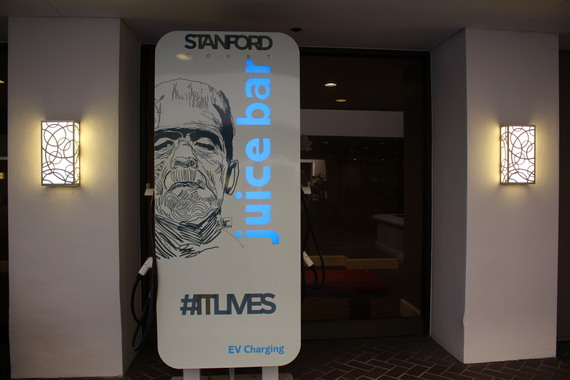 The sustainable Stanford Court sources food and coffee from local farms and vendors. 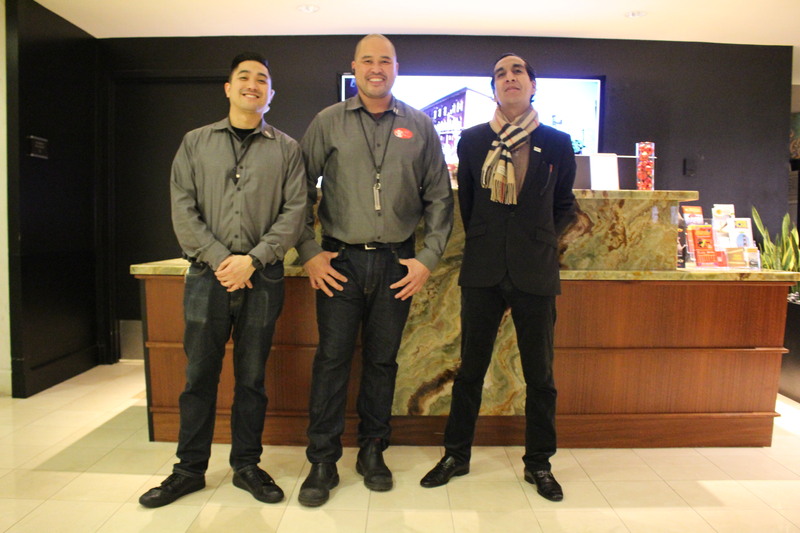 The hotel staff is extremely helpful, and the bilingual hospitality gems cater to your every whim. In a fast paced city, Stanford Court is a relaxing retreat from the hustle and bustle of the busy outside world. 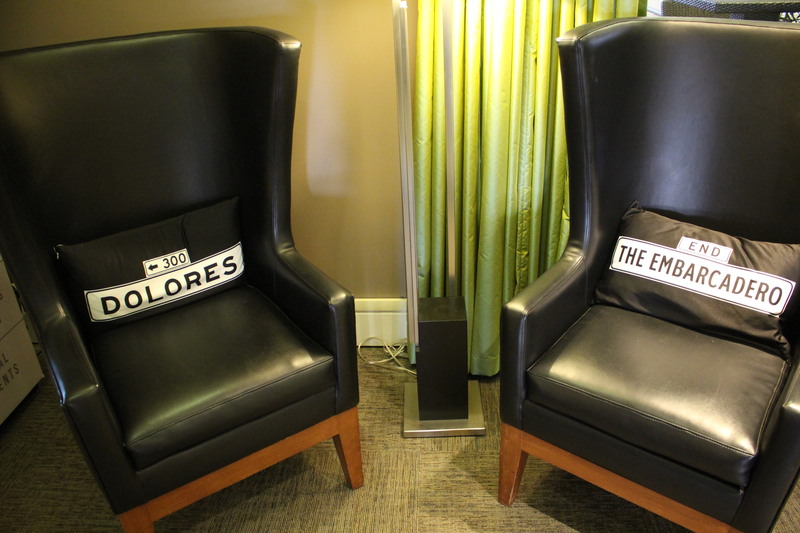 At the Stanford Court, clearly the guest comes first. The business center and lobby area are equipped with Macbooks and iPads, ideal for business or pleasure. Inside guest quarters you will find climate controlled rooms, Carrera marble bathrooms, and heated towel racks. Amenities that will make any guest feel right at home. 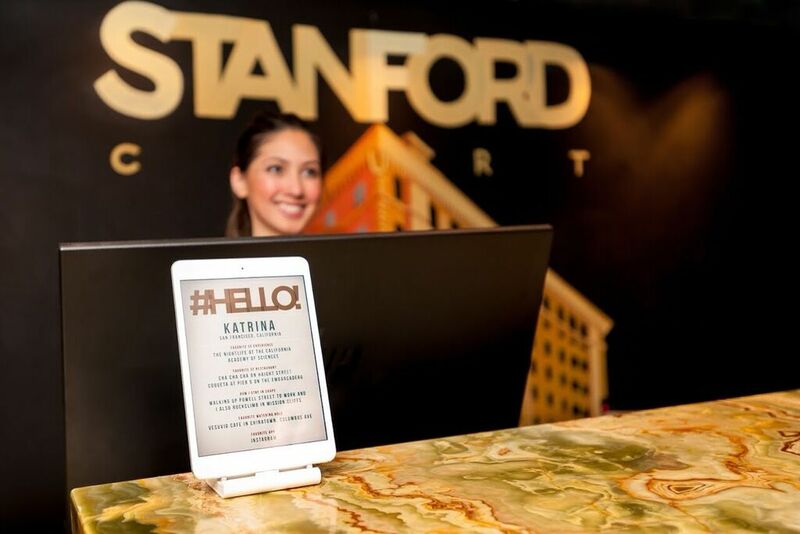 To delve further into the philosophy of the Stanford Court, I sit down with the hotel's personable general manager, Michael Baier who informs me, "We want to tell a story whenever possible." "You may have noticed that when you enter the hotel you see Ipads with the staffs name on them and some of their favorite places and recommendations for our guests." 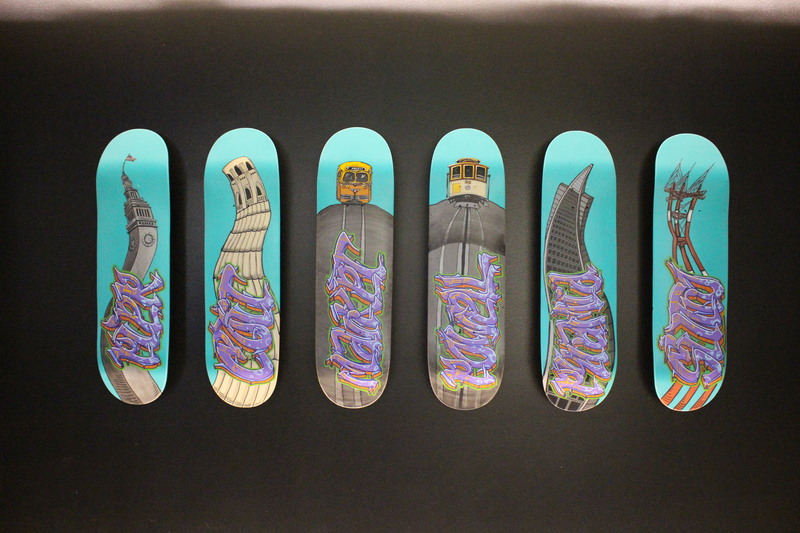 "If you notice as you enter the hotel you see four skateboards with images of San Francisco painted on" "artwork by local artists and artisans is something that we believe in." "In the elevators we play music from local Bay Area bands and musicians." "We want to tell a local story whenever possible." "We tell the story of Levis' jeans created in San Francisco on our key cards, and we use local spirits like 209 Gin." "We cater to an age group of 35-42, high tech travelers and repeat visitors seeking local experiences." "Our guests want fast wifi, and are concerned less about room service or loyalty reward points." Baier, who took on the general manager role in June 2013 when Highgate Hotels took over the management of the Marriott brand, has spent over 25 years in the hospitality business. I'm reminded, as Baier says, "We have three big ideas for marketing and knowing what our guests expect: High tech, great food, and beverages. Our guests want excellent cuisine, and health, wellness and sustainability." I ask Baier about how the staff might steer a guest in the right direction or perhaps to a more hidden San Francisco. Baier mentions, "our guests do not want to go to Fisherman's Wharf." "We try to send them to local neighbourhoods for a meal or a local more local experience like: North beach for pizza, or to explore Hayes Valley which is filled with hidden gem, or to a local tacqueria in The Mission. Herman Fong - loves working at the Stanford Court because management empowers its employees to make the best decisions to create the best guest experience possible. Mason Ino - Loves the hotels diversity and sense of Community. Jessie Garcia - recommends taking a cable car or walking down Powell Street to Union Square. Garcia just loves Barney's for a clothing splurge. Jeffrey Linschoten - loves to entertain guests, making them feel right at home. Jeff is proud of the historic location in which he works. As for eateries, Jeff recommends Harris' Steakhouse and House of Prime Rib. Teri London - calls Stanford Court "a classy SF staple." She loves the tech crowd and good vibes throughout the hotel. Two of her favourite restaurants are Ryoko Sushi and Burgermeister. 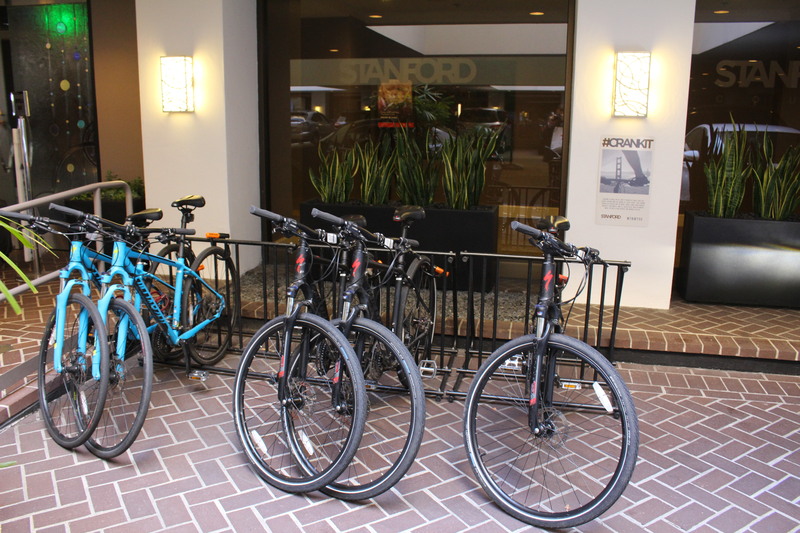 Guests of Stanford Court have many options to eat and play, and explore in America's culture capital of San Francisco. Mouthwatering fillets and succulent rib eyes in classy Nob Hill. Try the prix fixe menu called the "Special O" consisting of a house Cesar Salad, cheesy chorizo bread, a signature side dish of a potato and veggie medley, a petit filet, wine and dessert. Try the addictive 2 pound minimum crab sourced locally from the nearby waters of San Francisco. The whole crab is grilled and drizzled with house made butter sauce. 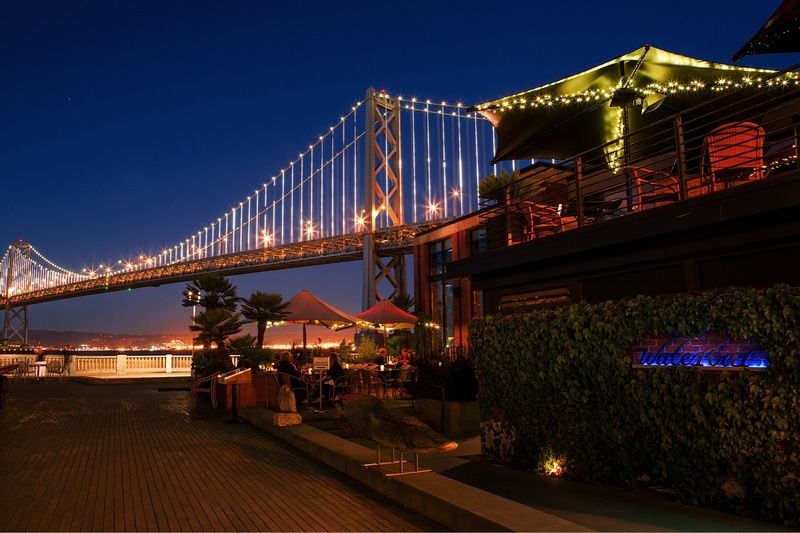 Located on San Francisco's Embarcadero waterfront with panoramic views of the Bay Bridge and Treasure Island. The impeccable eatery is perhaps the finest seafood restaurant in all of San Francisco. 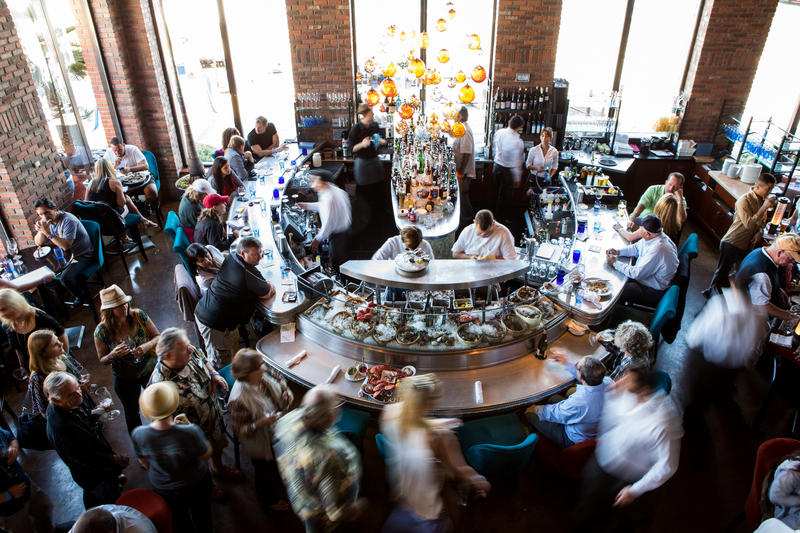 In a city known for its epicurean delights, the Waterbar's unparalleled variety of seafood brings out the "foodie" in each guest. Using only the freshest sustainable seafood available from the Bay Area and from around the U.S. The decedent raw bar features an impressive display of oysters, including sweet and buttery Kumamotos from Humboldt County shores in Northern California, mussels from the surrounding waters, the freshest Maine lobsters and more. Responsibly raised and harvested fresh, sourced foods in season from various Bay Area farms and regions. Respecting the delicate balance between land, sea and nature. Dine on Atlantic Fluke Sashimi, Foie Gras Torchon, and wild American Paddlefish Caviar harvested from the rivers of Tennessee. The second floor is dedicated to private dining for larger groups and events. Feast like royalty on made to order family style dinners including paella, a clambake, or a mouthwatering lobster fest. 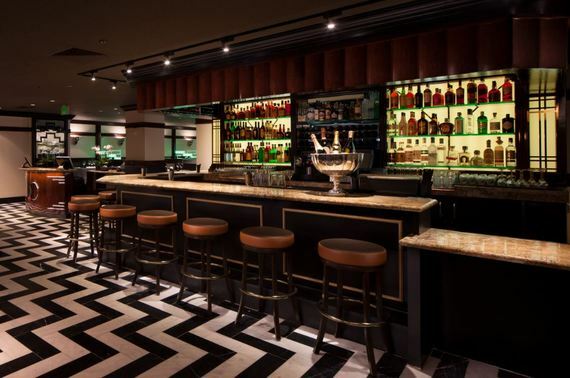 Signature cocktails, the likes of the French Bulldog consisting of Grey Goose Vodka, St. Germain Elderflower, Grapefruit and Lemon 12, or try the Irish Spice, consisting of Bushmills Irish Whiskey, apple juice, ginger beer, and pumpkin bitters. Start your weekend off with a dedicated brunch menu with specials: Pear Stuffed Pancakes, Tempura Jumbo Prawn Skewers, Pan Seared Ahi, Grilled Flank Steak. Dedicated to finding the shortest route, directly from the sea or farm to your table. Step outside of the classy Stanford Court, onto California Street and take a jaw dropping, cable car ride down the sharp graded hills to San Francisco's financial district or down Powell Street for a ride to San Francisco's premier shopping in Union Square. The grand dame of Nob Hill, Grace Cathedral looms large as the biggest Gothic structure on the west coast. At the cathedral's entrance, marvel at the massive gilded bronze doors, created by Lorenzo Ghiberti, which were brought from Florence, Italy, and date back to the 15th century. None other than Michelangelo named the massive portals as the gates of heaven (Porta del Paradiso). The pictures on the doors depict scenes from the Old Testament. The stain glass portrays various scenes of San Francisco's history. 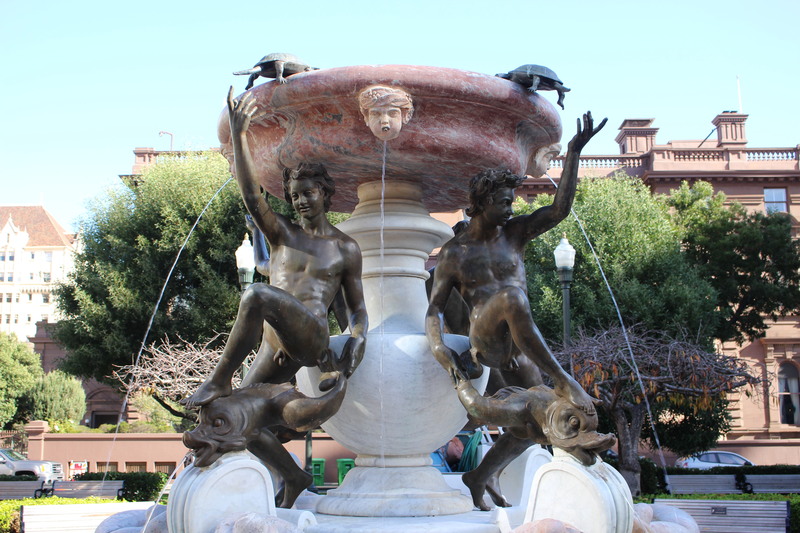 Walk outside of Grace Cathedral and you'll see picture perfect Huntington Park, the epicenter of Nob Hill. The Huntington estate once stood on the current park's location. A fitting setting for its rich and famous settlers. The park and fabulous gardens were renovated in 1984. At its centerpiece is a copy of Rome's Fontana dell Tararughe (Fountain of the Turtles by Taddeo Landini in 1585.) The fountain was a gift from the Crocker family. For history buffs pay a visit to the Cable Car Museum. From its inception in 1873 to the present the cable car has enchanted locals and visitors alike. Learn about the inventor, technologies, builders, expansion, near loss, and how the cable cars are a symbol of San Francisco. Here one can view a historic display of cable cars from a bygone era. The museum is dedicated to preserve a significant piece of San Francisco history. Whether your sojourn is for business or for a city break, Stanford Court provides guests with a cozy yet elegant stay. The prestigious Nob Hill centrally located property is among the best accommodations that San Francisco has to offer. From fine dining, shopping, and sightseeing, Stanford Court's attentive and helpful staff can point you in the right direction. Whether your passion is shopping in nearby Union Square, or taking a stroll or bike ride through Golden Gate Park, or to visit some of San Francisco's eclectic neighborhoods: The Castro, The Mission, Haight Street, North Beach, Chinatown or the Marina District, the Stanford Court is your "home away from home" on your visit to San Francisco. 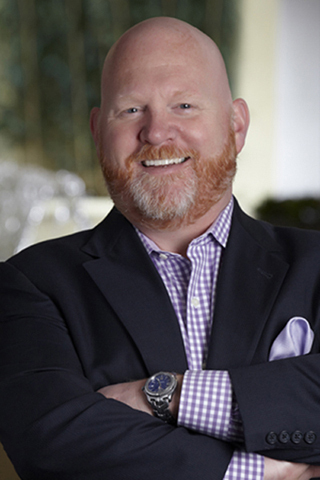 As the gregarious GM, Michael Baier says, "every detail is painstaking and has a purpose." "We care about the little stuff."